Of course, the market has shifted somewhat in recent years. At one point, the market was only about breast augmentation and nothing else. Then, came breast reduction, which also seems to be increasing in popularity. In and amongst these procedures are some natural ways to boost your breast size though. Today’s guide will now take a look at some of these. Sometimes, it’s just about getting a little more active. Don’t worry, you don’t even have to have a gym membership to carry out this first tip – simple push ups have been found to boost the appearance of your breasts. In truth, this should not come as a surprise. 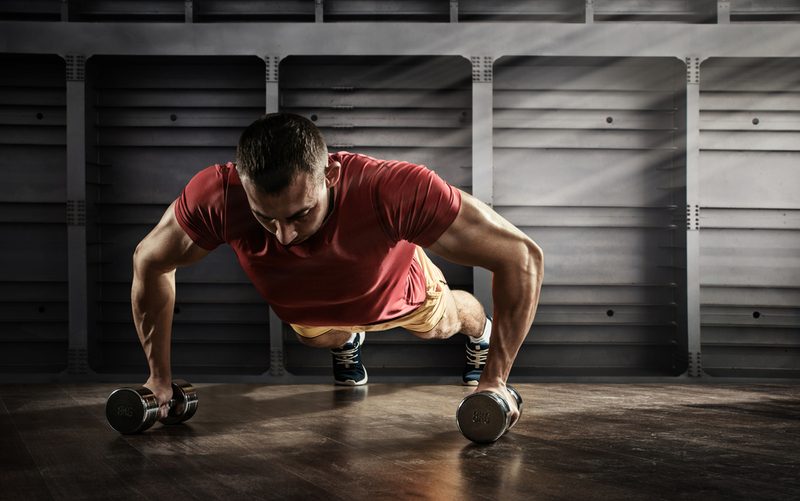 Push ups boost your pectoral muscles although for those of you who want to take things a bit further, the bench press exercise (either with dumbbells or a barbell) is going to have very similar results. So, what results can you expect? Well, if you build this into your daily routine, some believe that you might even increase your breasts by a cup size. The beauty of this option is that you can reduce how much they sag as well, as you are effectively toning the area. Over the last few years we have seen more and more studies about posture. Some of these tell us how better posture will indirectly give us more confidence, but this next point is more about how it can at least trick the eye into thinking that your breasts are a bit bigger than they really are. It has been found that those women who have that perfectly straight posture benefit the most from this; it effectively makes your breasts stand out a little more. There can sometimes be misconceptions about weight and breasts; a lot of people tend to think that the more weight you have, the bigger your breasts are. While this is true to an extent, let’s not forget that a far healthier option is to use weight loss to your advantage. This point is again about tricking the eye, and if you can shed a few pounds in your waist area you will immediately draw more attention towards your breasts. This is because your upper body will seem bigger in comparison – when in reality it has stayed the same size! Let’s end today’s article with an interesting point about coffee. If studies are to be believed, those who overindulge in this hot beverage are much more likely to see their breasts shrink. This is all related to hormones and considering the fact that the results were published in a reputable source, the British Journal of Cancer, it’s not something that should be taken lightly.